Johnson and Wales Culinary Arts Professor Chef John Dion recently shared how he is going to pair his favorite ‘Gansett brews with Thanksgiving dinner. 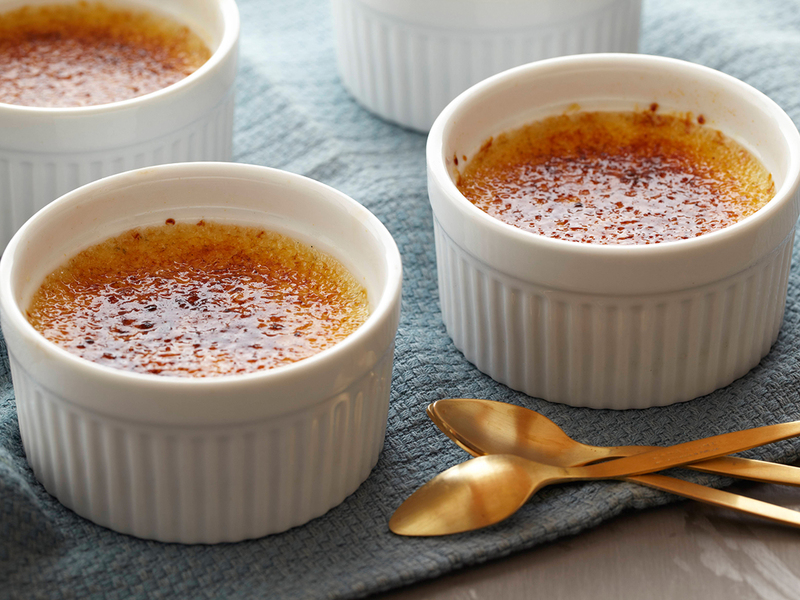 He was also gracious enough to share his personal Pumpkin Créme Brûlée recipe with us, a dish that he says perfectly complements that Autocrat Coffee Milk Stout, and is a great way to finish your Thanksgiving feats! 1. Heat in a medium sauce pan the heavy cream, milk, nutmeg and clove, stirring occasionally just below a boil. Turn off and let the flavors infuse. 3. Slowly temper into the egg and sugar mixture the infused milk and cream. 10. Place in pre-heated oven on broiler, and caramelize the sugar, or you can use your kitchen torch and caramelize each dish, let set and serve.